Do not even think of buying a home before understanding sensible tips for home buyers. Buying a home is one of the hardest things that you will ever do in life. There is so much at stake to ensure that you buy the right home and do not put yourself into an untenable financial situation. 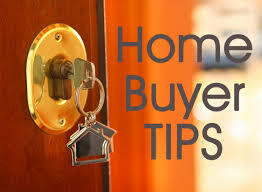 It is well worth the time needed to understand tips for home buyers before setting out to purchase a home. Even if you have purchased a home before, if it has been a number of years, it is well worth taking the time to understand what has changed and what home buyers are currently facing to avoid making common mistakes associated with buying a home. The reality is that for most people making a mistake when buying a home cannot be easily undone. Therefore, it is important to go into the home buying process with as much knowledge of the process as possible to increase your chances of being a happy home buyer for years to come. Before you even set out to purchase a home, it is well worth spending some time determining how much of a home you can realistically afford and which areas you should be looking in for a home. Many home buyers make two critical mistakes when buying a home. First, they do not consider all of the costs associated with owning a home. Second, they do not thoroughly consider where they can actually afford to buy a home. Regarding the first point, homebuyers need to realize that there are a lot more costs associated with owning a home than just making a monthly mortgage payment. Other significant monthly reoccurring costs that must be considered include property taxes and homeowners insurance. Other costs to consider are heating and cooling costs, water and sewer costs, and in some cases a home owner’s association fee, if the home is part of a community that charges monthly or annual fees. Also, consider the fact that you will be spending on the upkeep and repair of your new home. While upkeep and repair costs are hard to quantify, factor in a realistic amount you may wind up spending on such items on a monthly basis. After adding all of these costs up, figure out how much of a mortgage payment you can afford and what price range of homes you should be looking at. The second point is related to the first point. Home buyers can waste a tremendous amount of time looking at homes in areas that are desirable, but are unaffordable once all the monthly costs of home ownership are factored in. Do not waste time looking in areas that have homes you cannot afford. Unless you are willing to take an alternative route, such as buying a short-sale home or buying a foreclosed home in a public auction, you are just going to be spinning your wheels looking in unaffordable areas. Focus on areas that make sense financially and personally to buy a home. Make sure you consider factors such as your commute and the quality of the schools in the area that you are looking. Make a checklist of what you want in your new home. While you may not be able to get everything you want, due to cost and other considerations, having a checklist in hand will help you as you tour homes and determine which one is right for you. 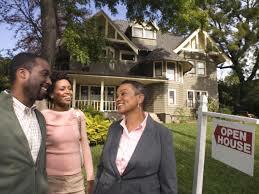 Working with a local real estate agent when you are looking to buy a home is one of the best tips for home buyers. Since the seller pays the real estate broker’s commission, you have nothing to lose and everything to gain from working with a local real estate agent. The reason why you want to use a local real estate agent to find your home is because they understand how things work in the area in you are looking. They also know what areas to avoid in a particular town and things about a town that may not be readily obvious. They also know other local real agents, which can be beneficial when you are looking for your dream home. They will be able to network with other local agents to find homes that are within your price range and meet your needs. They also will know who to call if any issues come up once you are under contract, be it a local contractor needed to fix something or a local building official that needs to sign off on an inspection. One of the often overlooked tips for home buyers, is to put together a spreadsheet to track the homes that you have viewed that includes what features the homes had and lacked, as well as any other noted items, such as the view or the type of road it was on. 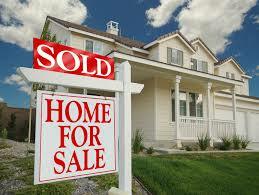 It will help you make a final decision regarding which home to buy. It may seem unnecessary when you first start looking at home. But, keep in mind, you may be looking at homes for months. By the time you are finally ready to make an offer to buy a home, it may be difficult to remember the details regarding the ones you really liked. Having a spreadsheet to track the homes that you have viewed will keep all your thoughts organized and help you make a sound decision regarding which home pursue. One of the most important tips for home buyers is to be proactive and assertive during the negotiations to purchase the home you have decided to buy. Do not let the realtor take over the process or talk you into paying more than you are willing to pay. While you have to be realistic that the sellers will only come down so far in price, stand your ground and have a price target that you think presents good value for the home in the current market. Start out low with the expectation that you and the seller will meet somewhere in-between. The realtor is looking to close the deal at any price and collect a commission. You are the one that will ultimately have to pay the mortgage on the final price that is settled upon.